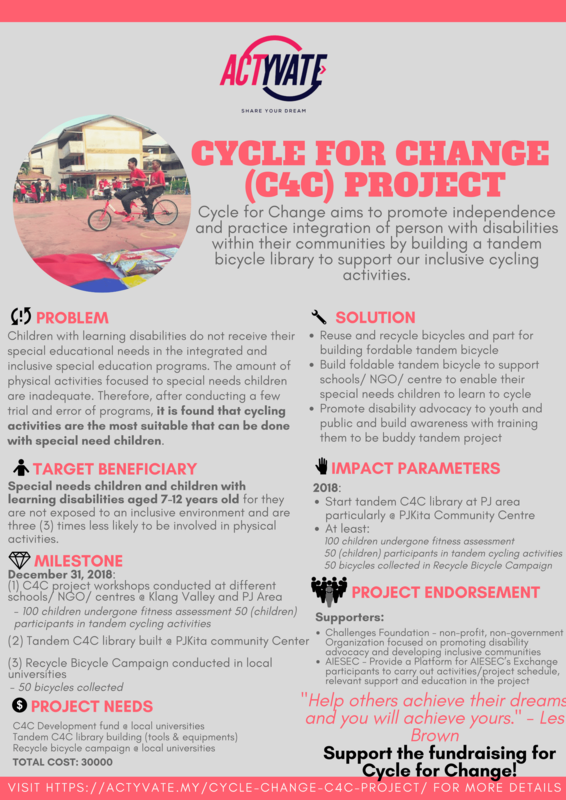 Challenges Tandem Cycle 4 Change Project was initiated in 2014 to make cycling accessible for all including children with disabilities. Our mission is to build a tandem bicycle library to enable special needs children to learn to cycle with support of ride leaders. 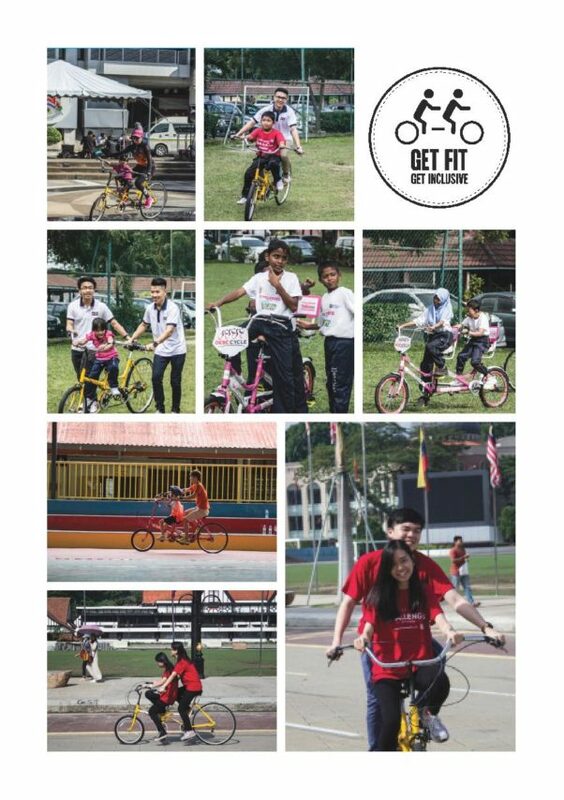 Activities carried out include Recycle a Bicycle Campaign, Tandem Bicycle Assembly, repair and maintenance programme, ride leaders & volunteer recruitment and training, bicycle lending service and promoting cycling for all campaign.